Architectural Digest Cover Home! Magical Hamptons Estate SPECIAL DISCOUNT now! SPECIAL DISCOUNT!!! !- 10% off for small groups and early booking requests for Thanksgiving and Christmas Holidays--BOOK NOW!!! 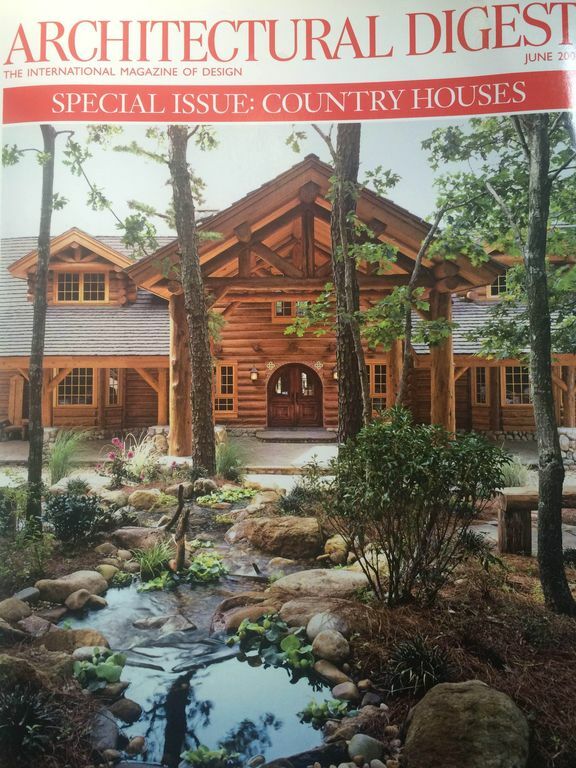 Architectural Digest featured this extraordinary log home on its coveted ‘Country’ issue cover. It is a plush ranch unparalleled for western authenticity and rustic elegance. Magnificent one of a kind designer furniture. Situated in Water Mill and surrounded by nearly 50 acres of unspoiled nature, paddocks and riding trails, this private turn-key gated property offers a memorable rental period and is available year round (including the Hampton Classic). All you have to bring is your toothbrush (but even that is provided)! You may even bring your horse, along...a stall is available. There is the most MAGICAL place to spend your weekends, Thanksgiving and Christmas holidays and summer vacation. It's a once in a lifetime experience! Details: House, Lodge, 2 Stories, Built 2005, 7000 Sq. Ft., Logs Exterior, OHA Heat, CAC Rooms, 4 Bedrooms, 6 Baths, Extra Rooms, Finished Bsmt, 4 Fireplace(s), Garage: 3 or more. Property: 50.00 acres, Heated Pool, Furnished, TV/Cable/Satellite, Movie Theater, Gym/Playroom, Horse Stall available if renting for one month or longer. It’s called a cabin, but it’s nicer than a five star hotel. You are on 25 acres of land with beautiful horses right outside your window. Jill is an amazing host who goes above and beyond to make sure you have everything you need. Security Deposit Required. Serious Inquiries Only, please call in addition to email. Holiday weekends and stays year round are subject to higher rates. Must check with owner what those prices will be if requested. Asking for small groups only, and rates are slightly negotiable for parties of 4 or less. Available year round for rentals. Winter nightly, weekly, & monthly rates negotiable. Yearly rental also available. Pricing available upon request. Negotiable to smaller groups 4 or less.